[Episcopal News Service] The Rev. Bill Miller is taking a close friend to Las Vegas on vacation, but this trip is about the bark, not the bet. 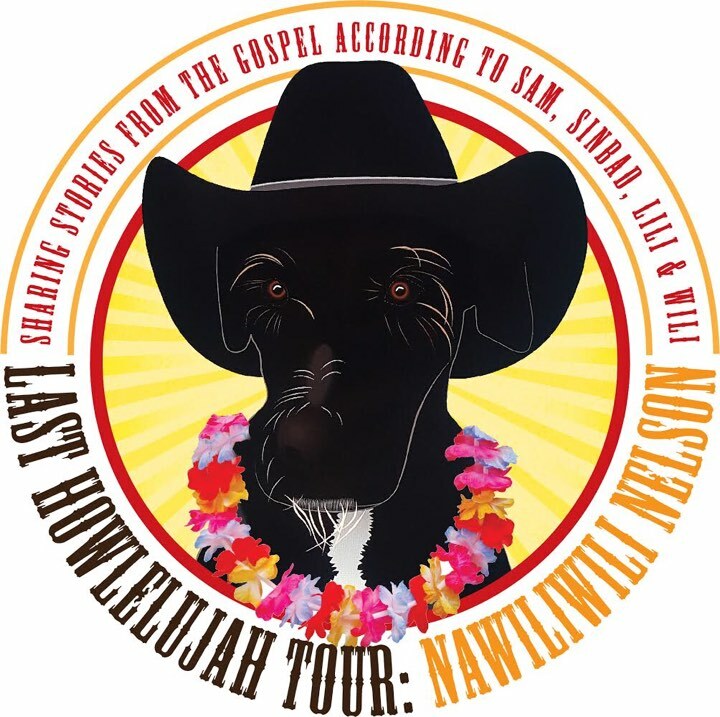 In addition to spending precious time with Wili, the other goals of the tour are to remind people of the spiritual importance of close relationships – whether with family, friends or “man’s best friend” – and to promote and raise money for animal welfare organizations. The tour will take the Rev. Bill Miller and Wili from Louisiana to Nevada, passing through Texas, Oklahoma, New Mexico and Arizona. Here they pose for photo July 4 during a stop at Barrow Brewing Company in Salado, Texas. Photo: Bill Miller, via Facebook. The stop in Corsicana was about a week into the two-week tour, and a fundraiser there July 5 raised $1,600 for the Humane Society of Navarro County. Miller has lined up about two dozen similar events in 18 cities on his route. Miller also is the author of two books, which he sells during his visits to churches, breweries and bookstores, and part of the proceeds of those sales are added to the fundraisers. “We have met some incredibly gracious and loving people along the way. They have shown [Wili] great hospitality,” Miller said. 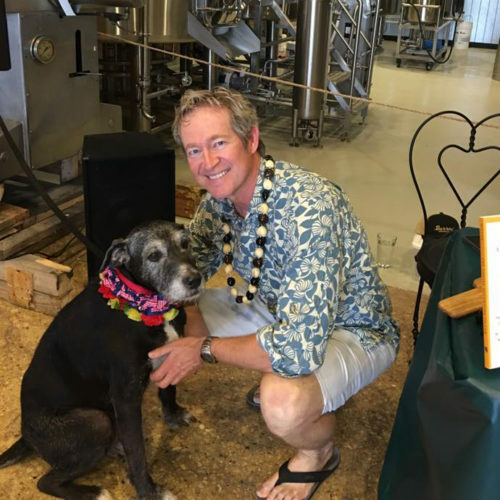 After Sam’s death and while serving at a church in Hawaii, Miller adopted Wili from the local animal shelter. Part terrier, Wili’s full name is Nawiliwili Nelson, a little bit Hawaiian and a little bit Texan (his nickname is pronounced “Willie”). The priest felt an immediate connection to the pup. “He just had one of these rare outgoing personalities, and he has maintained that throughout his life, even here as he’s been dealing with cancer,” Miller said. Miller moved to Covington, Louisiana, north of New Orleans, about two years ago to become rector at Christ Episcopal Church. And he now has three dogs, including a mutt named Sinbad and a pit bull named Mahalia Jackson Queen Liliuokalani, or Lili for short. In November, Miller noticed Wili wasn’t eating. The veterinarian diagnosed cancer the next day, and Wili was given as little as three months to live. But that three months has extended past six months and now into the summer, with the help of surgery, chemotherapy and a healthier diet for Wili. Miller took some time off from his work at Christ Episcopal to celebrate Wili’s improved health by embarking on their current road trip. They held a launch party on June 26 at the Abita Brewery in Covington and hit the road June 30. The tour will conclude July 16 in Las Vegas, where they have three events scheduled at Mountain View Presbyterian Church. The tour will take them from Louisiana to Nevada, passing through Texas, Oklahoma, New Mexico and Arizona, and counting the return trip, Miller expects them to cover about 5,000 miles before reaching home. He also will be preaching along the way, including Sunday, July 9, at St. Paul’s Cathedral in Oklahoma City. 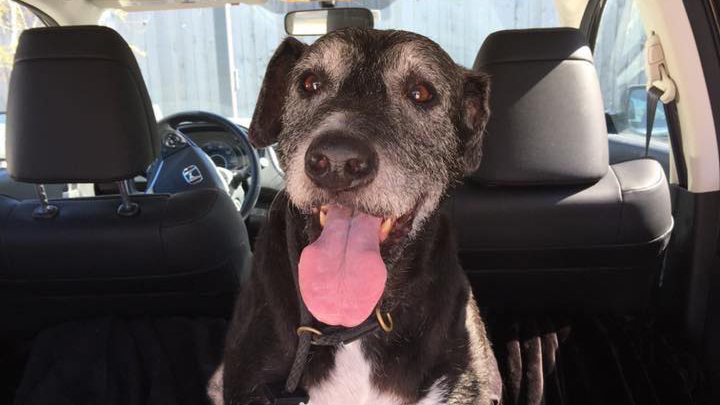 But the most important thing for him, personally, is to spend time with Wili, who has a water bowl and plenty of space to rest with the seat down in the back of Miller’s Honda CRV. They’ve been thanking God for air-conditioning while navigating the hot highways of the South and Southwest. They travel light and look for cheap, dog-friendly hotels when they stop. “Wili has not lost any enthusiasm for life and his love for people,” Miller said. This is so amazing!!!! Love this priest! This is marvelously uplifting. Compassion and love radiate from this story. We are all God’s creatures. It is very disappointing that we have to look to other religions to find compassion and caring for non-human beings as part of the story. What a warm and moving story…I too am a pet lover and have lost several and the pain never goes away. I look forward to seeing them all in Paradise. God bless Fr. Bill Miller!! Pleasure to read about you and Wili Nelson. Text me if you get to Austin. The Original George Mc Gonigle? Who used to live in Houston and be a member of St. George’s? What an amazing wonderful soul you are Father Miller! I live in Dallas, I would have driven to one of your fundraisers! Absolutely wonderful. I have had two canine curates in my ministry. They are a blessing from God and true ministers of the Gospel of love. Happy trails! The church can take a lesson from this story: Keep it simple and keep what’s important close. Howlelujah for our companions on the way! Loved the book The Gospel According to Sam … haven’t read the beer book yet (wine drinker myself). Have a great experience together. Your loving commitment to your animal companion in conjunction with your passion for all God’s creatures is inspiring and heartwarming. Thank you for your witness of God’s love. has a place for all of them. I am so thrilled to read about this! We have decided to take our seven-year-old black cat, Sheba, on his “Kitty Make-A-Wish Foundation” trip to upstate New York and Ohio for a last trip to visit relatives. Ours, not his. Well… His, by adoption. Sheba was diagnosed with Fibrosarcoma in his mouth and sinuses about six weeks ago. It is inoperable and chemotherapy has not been advised. We have taken matters into our own hands and are treating him with natural supplements, expensive healthy food, and lots and lots of love! Strangely enough, he has actually gained weight this past week. The vet was amazed and said to keep doing what we’re doing. We are hoping the trip and the time together without the other two cats, who tend to stress him out, will give him motivation to get better. I am inspired by your story, and I’m thinking of keeping a running blog on Facebook of Sheba’s travels. Thank you for what you are doing to advance awareness of the importance of animals in our lives and their welfare, in general. Prayers going up for Wili! Such a beautiful story that speaks of the love that we share with our furry companions! My heart is overwhelmed at the joy you and Willi have shared so why are my eyes so wet? Dear Bill, Thank you for being so kind to such a wonderful example of God’s love. My prayers are with you. This is lovely . The thing is to live until we die. Headline writers. Geez, great story. Now let’s get real and get a vegan Episcopal Church! What a great story! I have my third senior rescue sheltie, Fillmore! I adopted Filllmore four weeks ago. He is a rescue stray around 10 years old. He will have his forever home with me and it such a privilege to be able to have his company. At 87 he is my rescue friend. As I look into his friendly eyes I wonder how any one could just turn him out to the wild. He is my best buddy. Wonderfully inspiring. Thanks be to God for priests like Father Miller and his canine companion. We have beloved animals too. When we lose them it is devastating. The only comfort I can find is to think that we will run together through fields in heaven. The human animal bond is finally being recognized for its amazing grace. I lobbied to have a Blessing of the Animals service at my Episcopal church and thankfully we will celebrate our 22nd one this October. It is a blessing to celebrate all animals…not just people’s pets. The Church needs to open its arms of compassion to include all creatures great and small. The Church should speak up for the voiceless and the millions of animals suffering from human greed, gluttony, ignorance, vanity and barbaric cruelty. Simply offering vegetarian alternatives at events would be a kind and humane start.